Thank you. As always, I appreciate being given the privilege of delivering the first sermon of 5773. It puts a certain pressure on me, like throwing out the first pitch of a new baseball season. I hope to be a good example. The subject of my talk is one that is relevant not only for the High Holidays but throughout the year. What decided me on this subject is a play on words. The title of this sermon is ‘WHERE IS GOD?’ Please picture these words in your minds. Now imagine that the letter ‘W’ of the word ‘WHERE’ is in parentheses. So the message becomes ambiguous. If you ignore the parentheses, then it is still a question “Where is God?” But if you view the parentheses as separating the ‘W’ away from the rest of the word, the question turns into a statement. Now it says HERE IS GOD. So clearly the letter ‘W’ is a very important part of that message and its presence or absence makes a great deal of difference in its meaning. Let’s look at the letter ‘W’ and its implications. When I was growing up, one thing I was taught in school was the rules of journalism. My fourth grade teacher was a big fan of the New York Times, and we had to read articles and discuss them. She even taught us the right way to hold and fold the paper. One thing that she liked to highlight were what she called the five ‘W’s of journalism. These were the things that needed to be identified in the very beginning so that readers would know what the story was about. The five ‘W’s were: who, what, when, where and why. For example, “John Doe was taken to Stamford Hospital with minor injuries yesterday afternoon after he was struck by items of his personal possessions thrown by the woman he had just broken up with from her fifth floor condo on Washington Boulevard.” Notice that the gist of the story is encompassed by the five ‘W’s,. In this case, the ‘who’ is John Doe, that ‘what’ is his being hit by these objects and going to the hospital, the ‘when’ is yesterday afternoon, the ‘where’ is Washington Boulevard, and I think we can safely say that the ‘why’ probably has to do with his ex-girlfriend’s anger at the break up. Looking at this another way, the five ‘W’s orient the story in identity, space and time. I recently read a very interesting book that addressed the subject of being oriented in identity, space and time from a very different perspective. The book was titled My Stroke of Insight and it was about the experience of Jill Bolte Taylor, a Ph.D. neuroscientist who had a severe stroke at age 37 when a blood vessel in her left brain burst and bled into her brain. She discussed how she observed herself losing her ability to walk, talk, read, write, or recall many aspects of her life in the first four hours after the stroke. The stroke essentially shut down all of her left brain. The left brain is the home of logical, sequential thinking. The left brain tells us who we are and who we are in relation to others. Dr. Taylor’s mother came to help take care of her but when she arrived Dr. Taylor did not know who she was or what the word ‘mother’ meant. She also lost the capacity to order things in her mind sequentially. The knowledge that socks need to be put on before shoes is a left brain function that Dr. Taylor had to relearn. Due to her stroke, Dr. Taylor lost these abilities and it took her eight years to restore full functionality. In a sense, the left brain is what takes care of the five W’s – who, what, where, when and why – for us. We use our left brains to tell ourselves who we are, what we’re doing, how we’re doing, what’s going to happen next, etc. Do you know the little voice inside your head – the one that is almost always talking to you and evaluating you and the world around you? Dr. Taylor calls this “brain chatter” and it is a left brain function. What Dr. Taylor seems to be saying is very simple: when the right brain can function free from the dominance of the left brain (and for most of us, our left brain is dominant, even if we are left-handed), we are able to perceive the fundamental connection we have with the universe. We sense the interconnectedness of all things. We feel an overpowering sense of love and of being loved, down to the core of our being. We feel a connection to something that we often describe as Holy. An important aspect of these experiences is that the five ‘W’s don’t really apply to them. Often the person loses the sense of having a separate identity and feels incredibly connected to the entire world, so in a very real sense there is no ‘who.’ There is no ‘what’ because these experiences are not about activity, or about something happening in the physical universe. These experiences, while generally short by clock time, frequently are perceived as being timeless during the process, so ‘when’ doesn’t apply. Similarly, these experiences are generally not localized to a particular location but embrace all locations, ruling out the quality of ‘where’. Finally, there isn’t a clear ‘why’ to the experience, other than the sense of the universe’s or God’s overwhelming love and the naturalness and rightness of this love’s expression. These feelings of spaciousness, of a loving connection to the universe, of experiencing the moment of now as timeless and abundant – these are consistent with what the mystics tell us about the nature of God and spiritual experience. you are within the cosmos as that the cosmos is within you.” There are many other examples. The High Holidays are about the Jewish practice of t’shuvah. T’shuvah is sometimes defined as repentance, but there is an implication in the word t’shuvah of turning. If I walk away from you but then I change my mind and come back, then this would be a small example of t’shuvah. So t’shuvah in the Jewish context is not merely a matter of feeling sorry about what one has done, but more that we turn away from those aspects of self that lead us to these dark places and turn more to the best parts of ourselves that can take us to the light. In more theological language, we turn away from our selfish pursuits and turn towards God. Why should we do this? Or, to put the matter even more bluntly, what’s in it for us? T’shuvah is not exactly a fun practice. It involves not only admitting that we were wrong and trying to fix things, but it also entails an ongoing change of behavior. 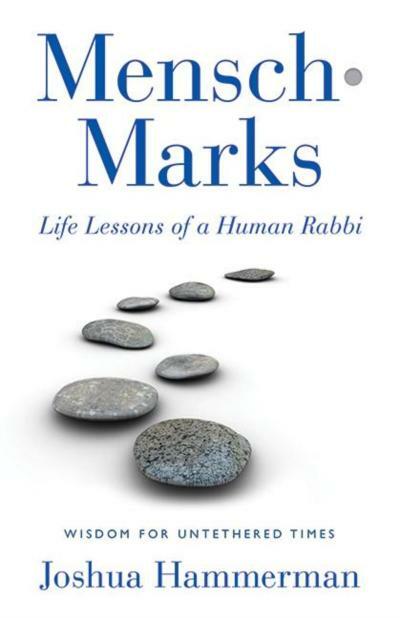 Maimonides said that the way to tell if t’shuvah is genuine is that the person doesn’t repeat the same behavior when subsequently exposed to the same temptation. This is clearly a lot more than just saying we’re sorry. It’s about making fundamental change. In a very real sense, it is about surrendering an aspect of self that has been important to us. This is never easy. But I think Dr. Taylor and the other mystics’ experiences of connection, love and joy resulting from living in their right brains illustrate a very important reason why we should do our best to practice t’shuvah. While we need our left brain for survival (it is how each of us was able to get here today), it is the left brain’s dominance of the right brain, and its incessant focus on the five W’s, that prevents us from truly being in the moment and having the ability to perceive and experience the Holiness that is always present. The experience of God is in the present, and it transcends the left brain’s five W’s. Letting go of the left brain is not easy or natural for us. But if we have not undergone the process of t’shuvah, if we are still attempting to manage the conflicts between how we are and how we think we should be, between what we have done to others and what we should have done and between what people know about us and what we know about ourselves, then we cannot let go of our left brain functioning. We become embedded in our left brains for protection and the illusion of safety that they bring, and we can’t see how they obscure the light and love of the Divine. So practicing t’shuvah assists us in letting go of our left brain processing. When we live in harmony with ourselves and others we don’t need to over-manage the five ‘W’s of our story. We become able to surrender to the reality of the present moment. We improve our ability to function out of the grace and holy connection that our right brains make possible. We put parentheses around the letter ‘W’ in the question “WHERE IS GOD?” and what’s left is the question’s answer – “HERE IS GOD”. May all of us be blessed this year with the experience of knowing “HERE IS GOD.” This year, may each of us be given the strength to do what we need to do to live in harmony with ourselves and others. This year, may all that obscures the presence of the Holy and Sacred be diminished. May we each serve as vessels, not only to convey, but also to experience, Divine love, Divine light and Divine peace, throughout this year 5773. K’en y’hi ratzon. May it be God’s will. L’shana tova.